If Semitism is attacking your neighbors, brutalizing defenseless, innocent people, taking their land and destroying their homes then yes, I AM ANTI-SEMITIC. If Semitism is spying on your alleged friends, stealing their secrets and selling them for profits or using them against "friends" then yes, I AM ANTI-SEMITIC. If Semitism is assassinating, spying, blackmailing, smearing and worming your way into control of another nation's government then yes, I AM ANTI-SEMITIC. If Semitism is staging false-flag terrorist attacks and blaming them on other nations or people then yes, I AM ANTI-SEMITIC. If Semitism is smearing anyone who dares speak up for justice and freedom in a realistic sense then yes, I AM ANTI-SEMITIC. If Semitism is fooling a nation into doing illegal and unjust military actions for them in which millions are slaughtered then yes, I AM ANTI-SEMITIC. 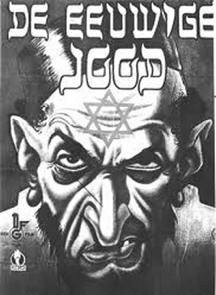 If Semitism is controlling the media and how people perceive the world then yes, I AM ANTI-SEMITIC. If Semitism puts one group of people above others in a "racially superior" sense then yes, I AM ANTI-SEMITIC. If Semitism blackmails and smears public leaders into submission to an agenda that is un-American then yes, I AM ANTI-SEMITIC. If Semitism MAKES U.S. leaders put the interests of Israel, an APARTHEID NATION, above those of American citizens then yes, I AM ANTI-SEMITIC.